Malek Dinar Shajareh, from Bahu Kalat village, is a 65-year-old farmer who grows mangoes, lemons and bananas; however, in recent years most of the trees have dried up due to low precipitation. In addition to farming, he also transfers his farmland’s water into the pond to save the endangered mugger crocodiles, locally called Gando. He takes care of 24 mugger crocodiles in a pond near his house. 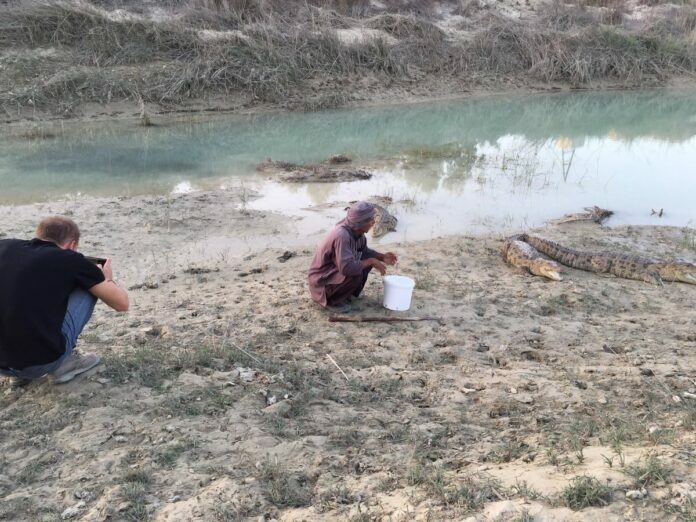 It’s been about ten to twelve years that Malek Dinar is the honourary caretaker of crocodiles. 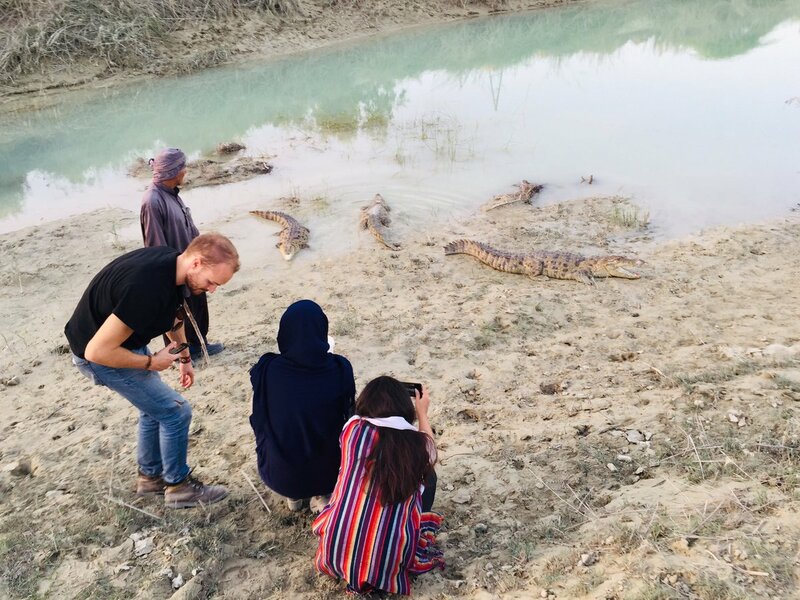 The life of this reptile is dependent on water, and now its only habitat in the world is somewhere in Sistan and Baluchestan province near the Sarbaz river and Bahu Kalat village. Mugger crocodile has been listed as a vulnerable species on the IUCN Red List since 1982. Baluchs respect water and everything that depends on water very much. When you travel to Sistan and Baluchestan province, the first thing they treat you with is a glass of drinking water which is the most valuable thing there. Malek Dinar says in the summer at a temperature of 45 to 52 degrees, the water evaporates very quickly and the water of the pond disappears. 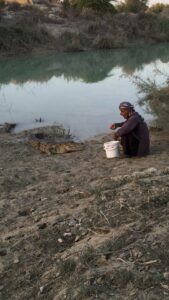 Then the crocodiles go out to find food and may eat the livestock or poultry in the village. 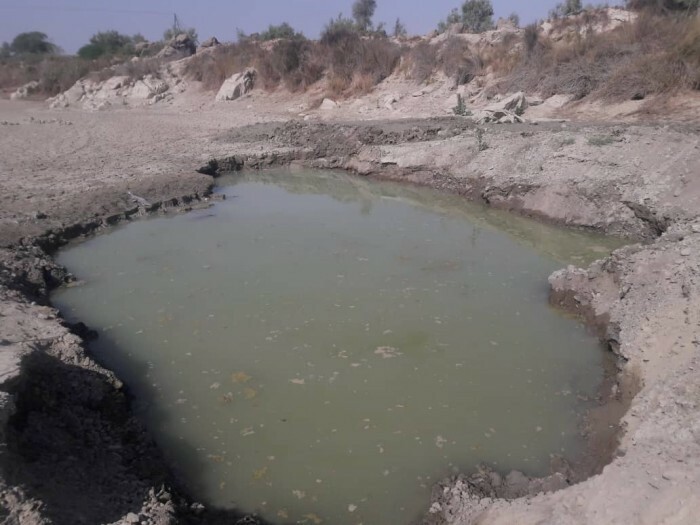 “At this point, I will do my best to provide water from the river using my own pump or with the help of the environment department,” Malek Dinar says, according to a report by Etemad daily. He says these reptiles usually last for six months without water, but when the water runs out, they usually get out to find water and then they become dangerous. At the time of water scarcity, the animal goes out of the water to cool down. Dinar has now applied for a licence from the Cultural Heritage, Handicrafts and Tourism Organisation to turn his house and farm into a lodging place for tourists. “This can raise the morale of the rest of the people and make them realise how these creatures are important. We should all work to keep these animals alive,” he added.